I love the Awards season. I get wrapped up in the fashion, the speeches always give me goosebumps, and I just love discovering new actresses and actors! I have to be honest though, because I travel so much, I am seriously behind on all of the must-see films. I didn’t even recognize half of the movie titles that were nominated! I guess that I have quite a list of movies to watch before the Oscars if I want to have any idea what is going on when the show rolls around! If you have a few movies to catch up on, then you won’t want to miss this awesome Fandango Awards Watch giveaway. The Fandango Awards Watch giveaway begins on 1/27 and ends on 2/17, and it will inspire all of your Hollywood Dreams! By entering the Fandango Ballot Challenge you are in the running for an Amazing Grand Prize that includes a trip to Hollywood with a stay in a super swanky hotel, A Lister pampering sessions and more! 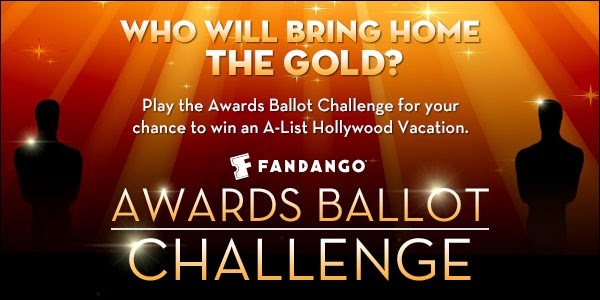 Take the Fandango Awards Ballot Challenge for your chance to win movie tickets and an A-list Hollywood vacation. Make your picks, share with friends, and come back weekly for extra sweeps entries. 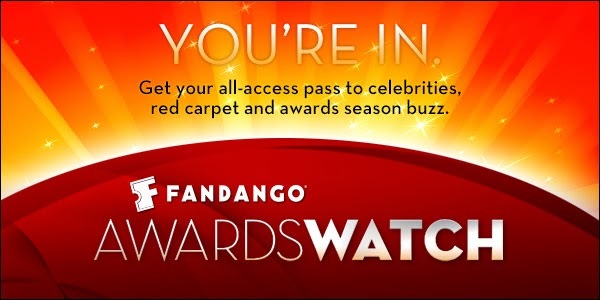 PLUS stay up to date with Fandango’s “Awards Watch” – your all-access pass to celebrities, red carpets, and award season buzz. Good Luck! I hope you love this giveaway and I will be rooting for you to win the Grand Prize… now if you win the trip you are going to invite me along right? Don’t Forget to Get Social with Fandango! Like Fandango on Facebook and follow @Fandango on Twitter! 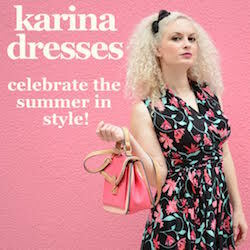 This giveaway is open to US residents and ends at 11:59 PM on February 17th. I can’t wait to see Robocop in Feb! I am looking forward to see Noah , Thank you! I want to see Saving Mr. Banks and The Monument’s Men! Both look so good! I want to see American Hustle. I’m looking forward to see American Hustle. I would like to see American Hustle. I really want to see Frozen! The Butler. I haven’t seen it yet! I’m most excited to see Jack Ryan: Shadow Recruit! I want to see frozen. All the adults at work have raved about it. Even those who don’t have kids! I want to see the new Captain America one! I can’t wait to see Maleficent!! Frozen for sure and the new Lego Movie! I want to see the wolf of wall street. I recently went to see Saving Mr. Banks. It was sad. I just watched a new preview for Maleficent yesterday, and it looks like it will be really good! I love a new take on a princess movie! I want to see Frozen or Maleficient! I really want to see Saving Mr. banks. I’m excited for Gone Girl and Divergent. My husband can’t wait to see Lone Survivor! I am excited to see The Nut Job. I’m most excited to see American Hustle! Looking forward to seeing Ride Along or the new Robocop. I’m Excited To See The Movie Labor Day! Right now Lego is the best prospect for us. I’d really like to see Frozen! I want to see American Hustle! We want to see The Lego movie! Im excited to see the Lego Movie or American Hustle. I can’t wait to see Noah and Son of God. It’s a long way away, but I am most excited to see The Hobbit: There and Back Again in December! I want to see labor with kate winslet & josh brolin. Id like to see Saving Mr Banks! The next movie I really want to see in 2014 is Labor Day it looks really good! I want to see “Dumb and Dumber To” since the first one always makes me laugh. Hubby and I can’t wait to see Noah. Xmen Days of Future Past! I cannot wait to see Noah. It looks really good! I really want to see the new X-Men, Days of Future’s Past movie. I’m really looking forward to the new Captain America!! I’m most excited to see Ride Along. I would like to see Maleficent. My son and I are very excited to see The Lego Movie. I’m looking forward to the new Captain America movie. I want to see the Fault in our Stars and a Long Way Down. Gimme Shelter was an excellent film. I want to see Maleficent! I want to see Dawn of the Planet of the Apes this year. I am super excited to see “The Fault in Our Stars”! I wanna see The Lego Movie. I am most excited about Mockingjay Part 1 and Exodus! I want to see Noah. I’m excited to see The Hobbit part 3 and Mockingjay part 1. Looking forward to Sin City: A Dame to Kill For! Labor Day is at the top, but there are so many already! I want to see Winter’s Tale. I’m excited to see the Amazing Spiderman 2! I want to see a nut job with my kids! Not sure when the next Hobbit movie is in theaters, but I can’t wait to see it! I can’t wait to watch Noah! I want to see Gone Girl! I really want to watch Frozen with my daughter. X-Men: Days of Future Past! I would like to see the wolf of wall street. I would like to take my daughter to see Mr. Peabody. I would like to see Saving Mr. Banks..
I’m excited for Captain America: The Winter Soldier it comes out on my sons birthday in april we can’t wait! I don’t know what movies are coming out. A great comedy would be nice… you know, one without being all sad. I am really excited to see Lone Solider and Labor Day! Thanks for the giveaway! The new Captain America movie! I want to see godzilla. I want to see spiderman. I can’t wait to see Dawn of the Planet of the Apes! It’s been forever since the last one came out. I want to see Muppets: Most Wanted. Most excited to see Guardians of the Galaxy ! I’d like to see Saving Mr. Banks, taking my grandson along. I am so behind on movies, I can’t even remember the last time I went! I’m looking forward to seeing The Monuments Men. I want to see Saving Mr. Banks! I want to see Labor Day! I’ve seen Saving Mr. Banks, Captain Phillips, Frozen, Wolf on Wall Street, and American Hustle. they’re all great if you ask me! I would love to take my 8 year old son to see the new Lego movie!!! Divergent. I can’t wait to see it. It looks good. Iam looking forward to seeing Labor Day. We really want to see Maleficent. Thanks for the opportunity. I would like to see any of the great new animated movies this year including, Frozen, Nut Job and the Lego movie. i am very excited to see malificent! I am STOKED about Maleficent with Angelina Jolie! I’m excited to see the new Captain America movie. I’m excited for the new Transformers movie!! It looks so awesome! The new Muppets movie coming out in March! I want to see Captain Phillips and the kids want to see Cloudy with a Chance of Meatballs 2. I’d like to see I, Frankenstein. I sooooooo want to see Maleficent! Im excited to see Robocop. The Hobbit Part 3 :o) I hate that it is so stretched out, but in a way I am glad! I want to see the Lego movie. I’m most looking forward to seeing Winter’s Tale. Looking forward to Captain America 2! I’m most excited to see Winter’s Tale. Thanks. I cant wait to see The Hobbit: There and back again. I’m excited to see Frozen. I want to see the LEGO movie! I want to see Divergent. Right now I’d love to see Labor Day, it looks really good. I’d like to see the Lego movie with my kids. I would LOVE to take the kiddie-links to the Lego movie!!!!! I would like to see The Lego Movie, and I’m looking forward to How to Train Your Dragon 2.
captain america the winter soldier for sure. counting the days. I wan to take my son to see the lego movie. I’m so far behind in my movie watching…I still need to see both Hobbit movies and Frozen. I want to see the movie Labor Day. I want to see Winters Tale! I’d like to see Noah. I’m excited about the movie “Pompeii”, it’s release is February 21st. Cannot wait! I am looking forward to watching Maleficent! Captain America; Winter Soldier for me. I really want to see Lego Movie. I hear it’s great! I would like to see Frozen. I’d like to see Frozen when it comes out on blue-ray. I’ve heard so many good things about it. I wan to see Winter’s Tale. Maleficent is what I want to see! I can’t wait to see Captain America! I am looking forward to the Lego Movie and Gone Girl. I want to see the movie Noah. I am excited about seeing “Frozen”. I’d like to see Saving Mr. Banks! I want to watch robocop. Hubby wants to see the new 300 movie! I’m really looking forward to the Amazing Spiderman 2. I still want to see American Hustle. I cannot wait to see Divergent and The Fault In Our Stars! I can’t wait to see Mockingjay. Thank you!! I am looking forward to seeing Robocop. I still want to see Saving Mr. Banks. I’m most excited to see Lone Survivor. i am most interested in About Last Night. thanks! I’d like to see Pompeii. I want to see the Lego movie with my kids. Oh, it is so hard to say this early in the year, but I am really looking forward to seeing Monument Men. I can’t wait to see Divergent. I want to see the Lego movie with my family. I want to see The Monuments’ Men. I would love to see American hustle! Thanks. I really want to see Maleficent . I am looking forward to seeing the new Fast and Furious in April. I still haven’t seen Frozen! I think it’s time I saw that one.